Carpal Tunnel Syndrome occurs when the median nerve, which runs through the wrist to the hand, becomes compressed. The problem involves the narrow bony passage in the wrist called the carpal tunnel, through which nine tendons and the median nerve must pass from the arm to the hand. Carpal tunnel syndrome is a common condition that results in burning, numbness, or tingling in your fingers, thumb, palm or wrist. You may find it difficult to grip objects. 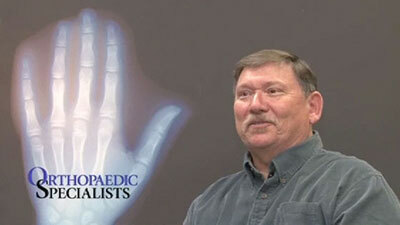 Patients with carpal tunnel frequently wake at night with pain. Mild cases of carpal tunnel syndrome may be treated with nighttime splints, anti-inflammatories, therapy, and/or cortisone injections. While non-surgical treatment can relieve mild cases of the condition, surgery may be necessary if it continues to worsen. Dr. Tyson Cobb, our board certified orthopaedic hand surgeon, performs endoscopic carpal tunnel release as a minimally invasive method of relieving carpal tunnel syndrome. During surgery, two small (approximately 1/4 inch) incisions are made in the wrist and palm through which an endoscope (small video camera) is inserted to allow Dr. Cobb to view the surgery on a video monitor. 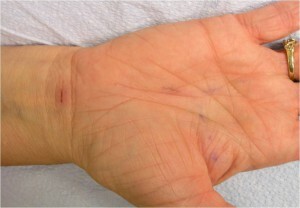 A small knife is used to divide the tight tissue compressing the nerve. Stitches are typically not required for this procedure because the incisions are so small they can be closed with surgical tape. This method frequently results in a shorter recovery time compared to open surgery. Patients are typically back to work one day following surgery with restrictions as necessary. 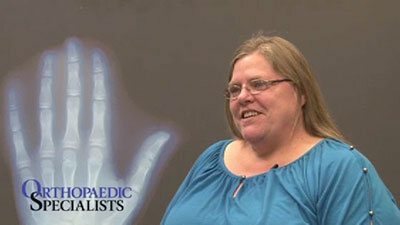 One of the most advanced techniques is now available to address carpal tunnel syndrome. Performed by Dr. Cobb, micro-invasive carpal tunnel surgery offers patients a way to recover more quickly and comfortably than ever before. This innovative approach utilizes the SONEX SX-One MicroKnife™, a state-of-the-art surgical instrument that can be used to perform carpal tunnel release (CTR) with minimal trauma and scarring. A single incision, about 4-5 millimeters in size (smaller than the head of a pencil eraser), is made and the SX-One MicroKnife™ is inserted through this tiny opening. Ultrasound technology is then used to visualize the treated area and guide the instrument into place without causing damage to surrounding nerves, blood vessels, tendons, and other sensitive tissues. To better protect these vulnerable anatomic structures, Stealth MicroGuards™ are inflated around the blade to shield the tool while it is unsheathed. After the treatment is complete, the scalpel is enclosed again, the guards deflate, and the device can be removed via the same small opening. In the event conservative, non-surgical therapies prove ineffective at addressing symptoms of carpal tunnel syndrome, micro-invasive CTR may be an appropriate option. Dr. Cobb can help you determine if this method is right for you during your initial consultation. Talk to our medical team today to learn more. Traditional open surgery involves a large open incision in order to visualize the ligament that must be divided to free the nerve. This may result in more soft-tissue dissection, injury, scarring, scar tenderness, and longer recovery.